Next time Ill make my submission at the start if the month! Shouldn't that be a Moots straight post and not the laid-back? Monster, drop me a PM and I'll sort you out with some decals. Do you still have that Klein Attitude? and if so, would you be willing to sell it? I'm looking for one again. I had one at one time, and sold it thinking I would be happier with a fancy bike. Unfortunately, I have not been and miss the bike. 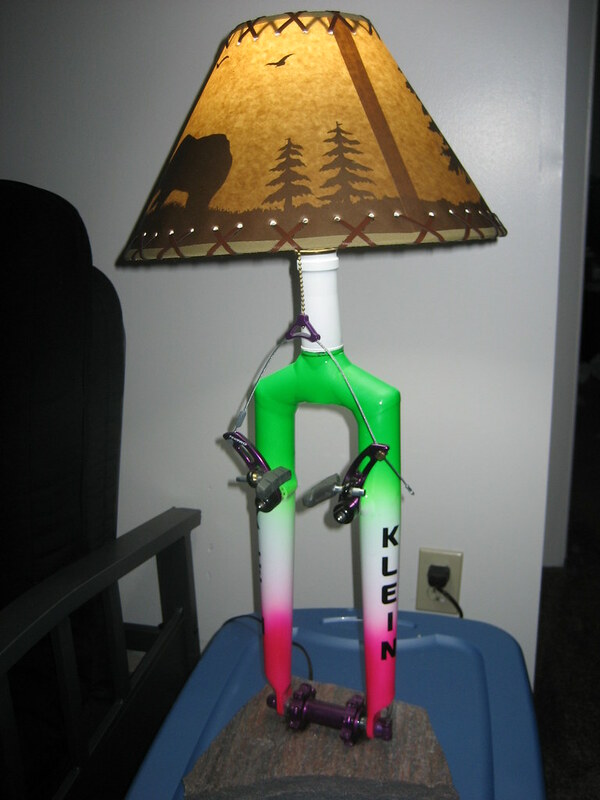 I still have the fork from my old bike and my dad made a lamp out of it. Please get a hold of me. Since I had to have one post before I could link an image, here is the image. Can I have your lamp? Does anyone know if he will sell it??? Ready to pay good money for it..